When I used an X-Pro 1. 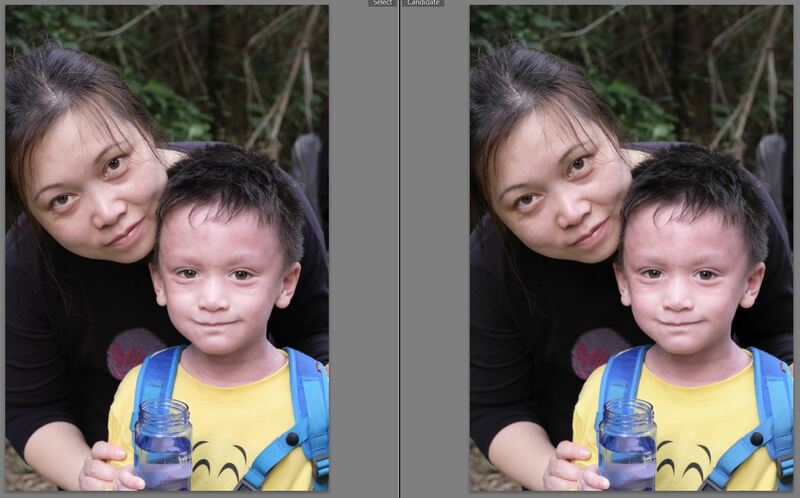 The differences in colour between RAW and Jpeg in lightroom were obviously different. Lately though, apparently Adobe has worked directly with Fuji and the profiles currently in lightroom are practically Fuji Made. Indeed, since I got the X-Pro 2, the differences are so minor I have trouble telling which one is the RAW and which is the Jpeg (after shooting RAW+Jpeg). I mean there’s subtle differences, but they’re so close I see no benefit in shooting RAW+Jpeg apart from being able to review the images in full size on the camera (you can zoom in more as you’re not reviewing the jpeg built into the RAW file). Also you can’t transfer RAW files to your phone via the phone app (you have to convert it in camera to jpeg first). If you’re a chronic pixel peeper you may want to shoot RAW+Jpeg so you can pixel peep without much worry (other than your hard drive filling up a bit faster). For me though, I don’t really need this fine detail pixel peeping, therefore I’m stopping shooting RAW+Jpeg and I’m going to just shoot RAW from now on. If I reaaalllly want a fuji jpeg I can convert in camera. I will do proper tests later using different film simulations. That’s for another post. Michal Kriesch of Michal Kriesch Studios (a Sydney Based Wedding Photographer) messaged me with his findings concerning DR100/200/400 setting using Lightroom with LR not displaying them correctly (they were dramatically underexposed after importing). However if you are in AUTO DR then the image darkens (quite significantly IMO). 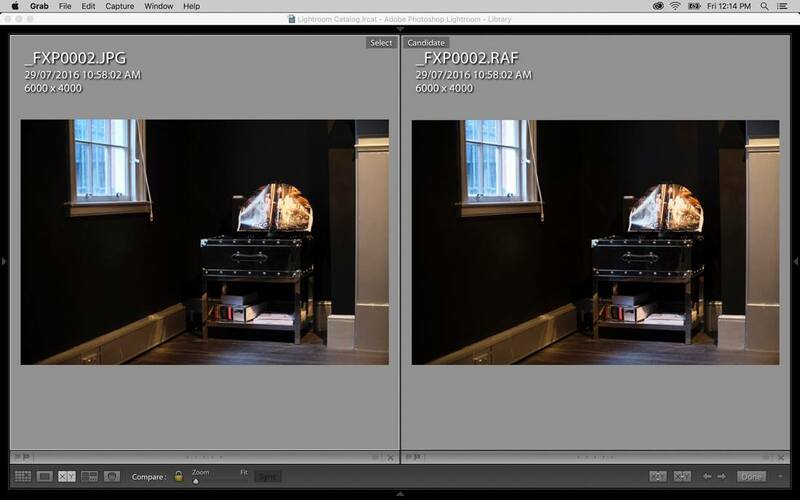 Final image below shows JPG & RAW compared after import (as per above) without any other “touch/time” needed from me. 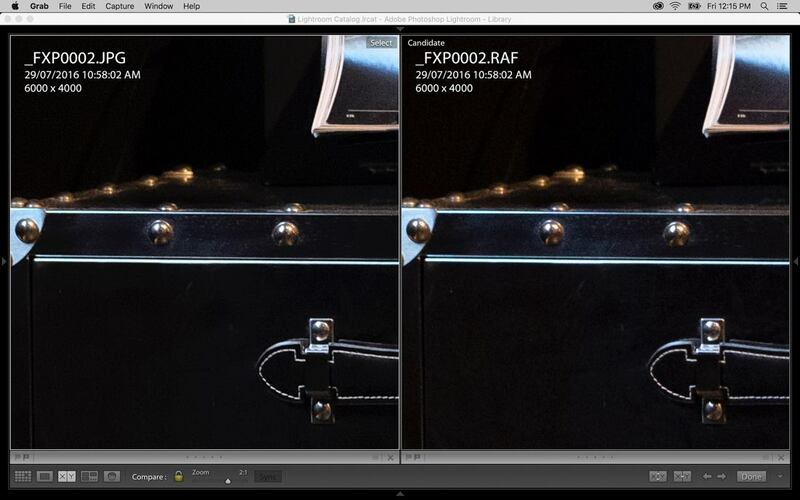 So there’s another photographer who’s found that Xpro2 RAW files with Adobe Lightroom and the Fuji Jpegs are quite similar. He said 99.99% the same and I agree. No need to shoot Fuji Jpegs if you’re satisfied with the way LR processes the images. The colours are a great match now. Yeh, it doesn’t make too much sense to me to shoot jpeg. They’re nice jpegs, but I don’t want to double up on files. Hello Mr. Evans, I still find differences in Lightroom for Fuji RAW files. I am using the latest CC update. Will u please tell me did u make any modifications in lightroom? Or do I need to download any script to get better fuji simulations? Thanks. Nothing special. Just adjust the profile to match the film simulation I want to use. 1. I think the older sensors (pre xpro2) may still have issues. 2. If you don’t select a profile perhaps adobe camera raw standard has automatically been selected. This will definately give you a different look. I might be missing something, but it seems that when I just shoot RAW, there’s no way in lightroom to see which profile I used in-camera. Not a problem unless I’ve used several and don’t want to recreate my thought process when importing. But at least the jpg’s will serve as a reminder.